Our Alamogordo shop has the latest tools and the best parts to keep your car running properly. Check out our auto repair service specials and see how you can save money by visiting our shop. Our service techs in Alamogordo are ready to service you! Call us now & let us diagnose and repair your car. Alamo Auto Center Inc. provides quality auto repair and service, for all makes and all models. “If I could rate this facility higher than five stars I would. I have been working on cars for 50 years now and for the first 20 years I would not let anyone else even check my oil let alone work on my car. Due to a break down along the highway between Albuquerque and Alamogordo we made it into town with a bad wheel bearing. This was on April 27, 2017. The shop was very busy but Xavier gave us priority to get our car fixed since we were traveling through. His mechanic was very knowledgeable and did not try to sell us on anything that we did not actually need. “Thank you Alamo Auto for giving me my car back. It hasnt ran this good sence I bought it. 5 stars for professionalisam. “Excellent, quick and friendly service! We had such a great experience going to Alamo Auto Center for oil changes for our Nissan and Subaru. The service was quick and we even made some small talk. The owner pointed out some things that we should pay attention to and, unlike other places, he let us decide if we wanted to take care of the potential issues now or later rather than forcing us to get work done now. “Honest and excellent service. 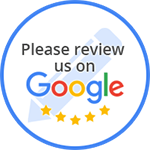 I have my vehicles here several times now and I'm always amazed at the honesty and excellent service. I recently took a car in with a problem which stumped them for awhile. Once they found the problem, they determined it was a very easy fix and didn't charge me at all for all the diagnostics they performed! The car is now humming along and i had a very minimal bill. “I brought in my F250 to have them check out the suspension because I was afraid one of my front axle seals was going out. Gary put my truck on the lift and inspected it with a fine tooth comb and found out that everything was in good shape and the seal that I thought was bad was actually just a dust seal and that I could just put in back in myself. He also hooked up the scanner because I had a check engine light on. after going through the codes he found out that it was a simple vacuum leak and he fixed it for me. When I asked them what I owed them he told me nothing, not a dime!!!! These guys are awesome!!! I recommend them to anyone needing any type of vehicle repair.